Beautiful and spacious townhouse in gated community with HOA pool, spa and tennis too! 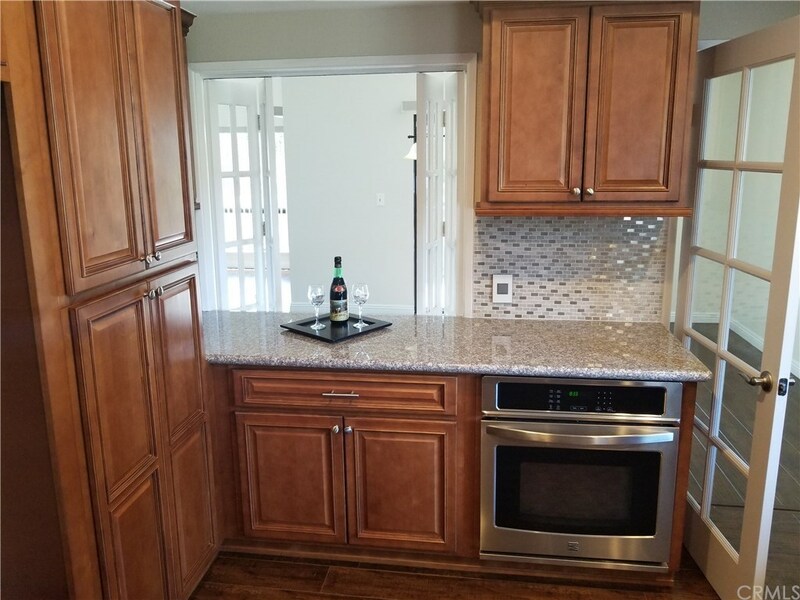 This remodeled unit features a gourmet kitchen with granite counters on beautiful cabinetry and wood floors as well as Central A/C too! A very large living room with wood floors and vaulted ceilings, gas fireplace and dining area open to a balcony where you can enjoy ocean and sunset views. Nice size family room adjoins and is open to kitchen and also has a balcony to enjoy views or BBQ. Downstairs are 3 bedrooms and 2 baths including a large master bedroom with large walk-in closet and a gorgeous and modern bathroom with freestanding modern designer bathtub and separate glass enclosed shower. 2 car direct access garage. Laundry room with hookups for either a gas or electric dryer.